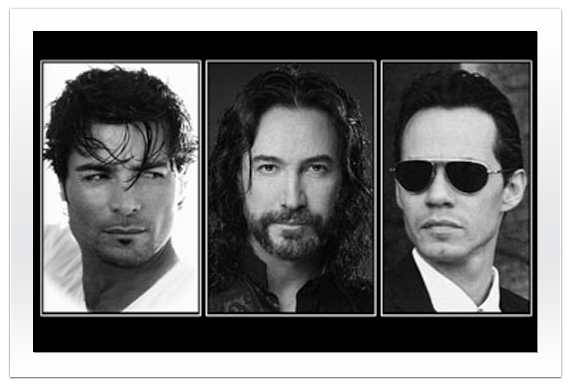 Marc Anthony, Chayanne, and Marco Antonio Solis at the Amway Center on Sunday, August 5th, 2012 at 8pm for the GIGANT3S Tour. Grammy-Award winning musician Marc Anthony is the top-selling tropical salsa artist of all time who is also known for his hits of I Need To Know and You Sang to Me and his most recent hit with Pitbull of Rain Over Me. In addition to his musical career, Anthony has also acted on the big screen and small screen with roles in Man on Fire opposite Denzel Washington and on the TNT Medical drama HawhthoRNe with Jada Pinkett Smith. Ticket Prices: $66, $96, $126 & $201 | All tickets are subject to applicable taxes, service, handling and facility fee charges. AMERICAN IDOL LIVE! 2012 Tour will take place at the Amway Center on Thursday, August 2nd, 2012 at 7pm. This entry was posted in Concert and tagged Amway Center, Latin on April 8, 2012 by Orlando Concert Guide Staff.